Keedie’s Corner recently caught up with Nikki Jones to discuss her “QueenBerries”, which are a royal treat among the Central Floridians. She has a delightful twist on strawberry decor and she gave us the opportunity to share her story. Read along as we tell her tale. • Where are you from Ms.Nikki? I’m from a small city called Crescent City. • How long have you lived in the Central Florida area? I’ve lived in the Central Florida area for about 10 years now. •How long have you been making your famous “QueenBerries”? I’ve been making “QueenBerries” for about 4 months now. 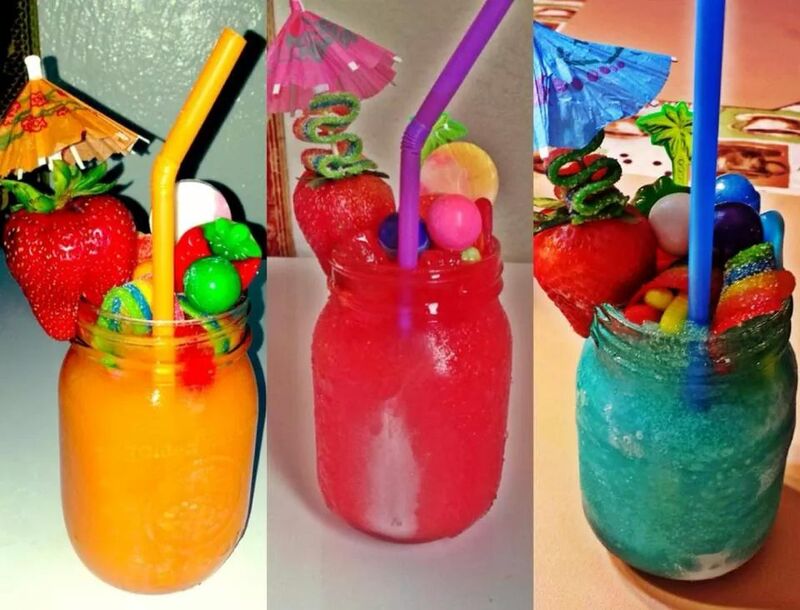 • And you also make Cocktails? • What motivates you to go hard in life? All of my strength comes from the Lord, FIRST & my 5 yr. old daughter Derielle, everything I do is for her! • Do you have anything else in store? • What would you describe as good customer service in your line of work? I’ll just say PATIENCE is a virtue. • How do you balance it all out? School, berries, cocktails and family? GOD! I’m not just saying it in vain sometimes I find myself praying ALL day, I have to give credit to God. It’s easy to step off track or get unbalanced so to speak, when I feel like giving up he reminds me he hasn’t bought me this far to leave me! I have to keep my eyes on the prize! • Do you find yourself eating your creations? Not really, I’ll taste a strawberry to make sure my batch is pretty sweet, but my daughter on the other hand doesn’t get sweets often so she looks forward to mommy messing up a “QueenBerry” so she can eat it! • What do you do in your personal time? •What are some goals you would like to accomplish? To become a home owner, go back to school, & be happy every single day! • What level of success would you to have to reach to feel accomplished? It’s hard to answer that. I’m a dreamer, a doer, a thinker, I see possibility everywhere, the sky’s the limit for me! Even when I feel accomplished I’ll set another goal to reach! I’m constantly challenging myself & having fun in the process! 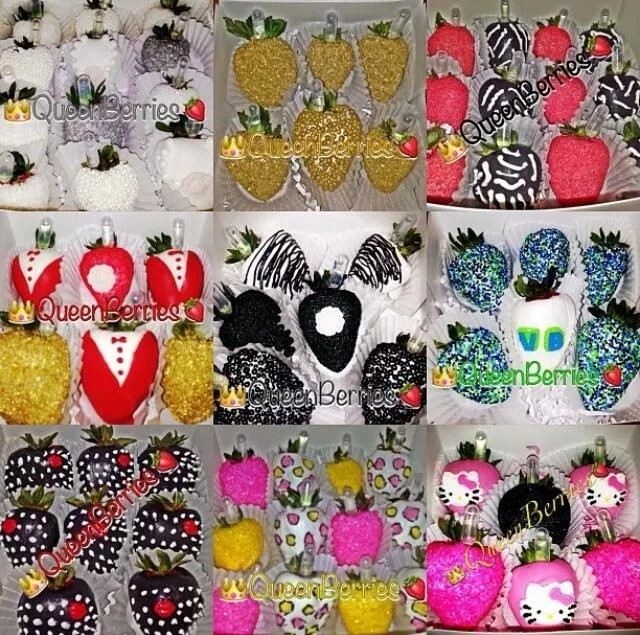 • What’s the most creative design you have made on your berries? Um that’s kind of hard I’ll say so far the leopard print…or maybe the tuxedos. • What are some of the weirdest request you have received from your customers? Oh my God if only I could share them all! The weirdest/funniest one someone wanted me to draw was a crab on the berries. (LMBO) I’m no artist & my space on the berry is only so big. Everyone wants to be “different” until it gets ridiculously funny! • Do you have any shout outs? Of course I would love to give my #1 supporters Latoya Scott (my sister), & Tangela Walker (God-sister)! My mom & dad for always being there no matter what venture I wanted to try, Derielle (my daughter) she’s always giving me ideas, & willing to help her mommy out! My dear friends who I send pictures, ideas, etc to Shala, Falon, Shayla, Nacole, Felicia, Kellee, Derrick, Brittany & my favorite cousin Tangela Williams I love each one of y’all in a very special way! • Any words of wisdom or encouragement? • Where can the viewers go to follow you and your movement? 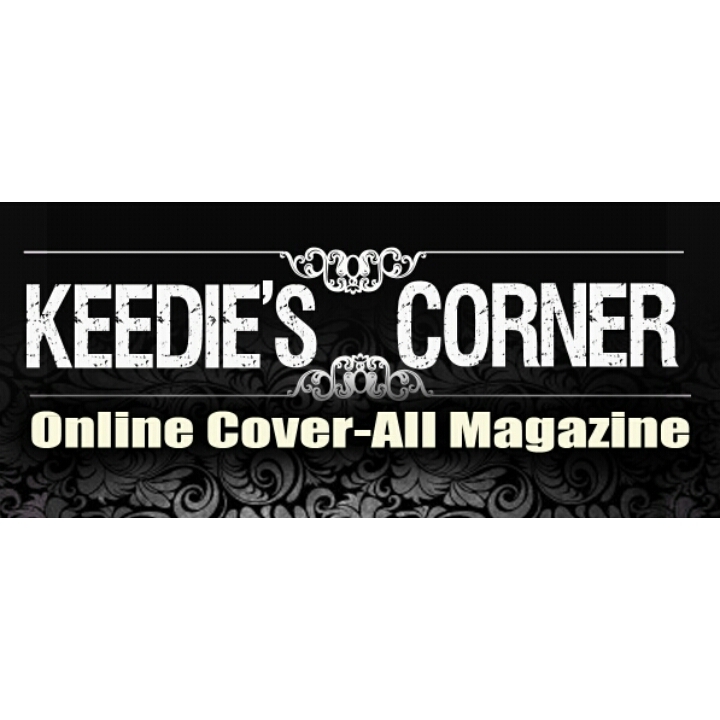 Contact a Keedie’s Corner Representative for media coverage. We specialize in media production and can satisfy your promotional needs. We produce Visual Interviews, Written Interviews, and Radio Interviews. Our production staff of journalist can provide EPK’s, Bios, Articles and Ads. We also provide Song Writing as well as Personal Publicist. We have a videographer to offer photography, videography, video blogging, behind the scenes video and more.